Here's a FREE offer from Sam's Club for both members and non-members. 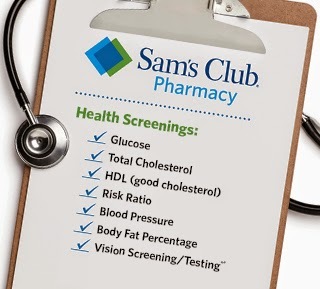 If your Sam's Club has a pharmacy you can go on Saturday, August 8th from 11 AM-3 PM and get Health Screenings with a value of up to $150. You will get tested for Glucose, Total Cholesterol, HDL (good cholesterol), risk ratio, blood pressure and body fat percentage.